The moment I jumped out of the boat, I knew I was in trouble. The waves were so high and so ferocious that I immediately found myself kicking my legs and flailing my arms helplessly. I tried to cling on to the boat knowing it’s my comfort zone and so long I didn’t let go of it, I’ll be fine. Until with bruises on my arms and legs bumping on the boat, I decided to let the waves carry me so I could at least enjoy the beauty that the sea could offer. With the safety of the life jacket, I allowed the waves to lug me amidst the beauty that surround me. As we traverse life, we would encounter waves of tribulations that would toss and turn us around mercilessly until such time that we would find ourselves bereft of the will to fight. The boat represents the people whom we would try to cling on to in order to survive the ordeal. But, at the end, we really have nothing but the prayer, which is the life jacket that would help us. 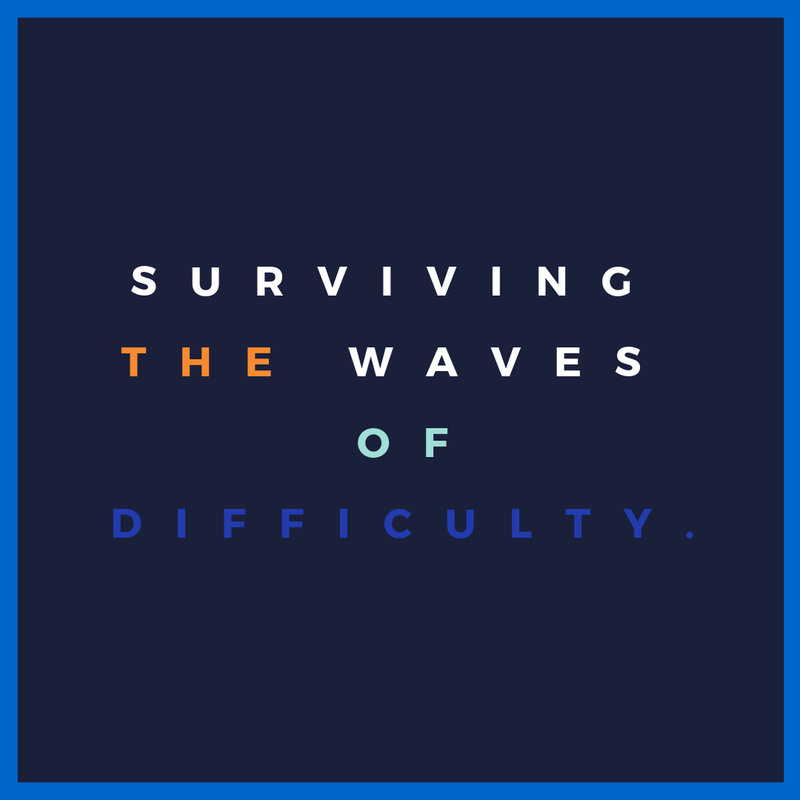 As we allow the life jacket just to carry us through, then we would see the beauty hidden by the waves- the purpose and the lessons of the problems. We know that whatever happens, the life jacket would not allow us to succumb and get drowned with our sorrows. Along the afflictions, the meaning is not lost. There would be bruises and scars, wounds that may never find mending, and pains beyond healing. However, the lessons will be carved forever in the heart. To ease the pain and hope again. The faith and strength to trust again.